The Mill Korean Restaurant is an ex-diner turned Korean restaurant near Columbia University. The Mill (ne Mill Luncheonette) was originally a greasy spoon diner with an Orthodox Jewish owner that in the early 90s began a slow-motion metamorphosis into a traditional Korean restaurant. I remember when the Mill was 95% U.S. diner food with a few Korean dishes on the menu prepared by a recently hired Korean sous chef. Now the last vestige of the that diner heritage is the Lime Ricky listed in the drinks section. 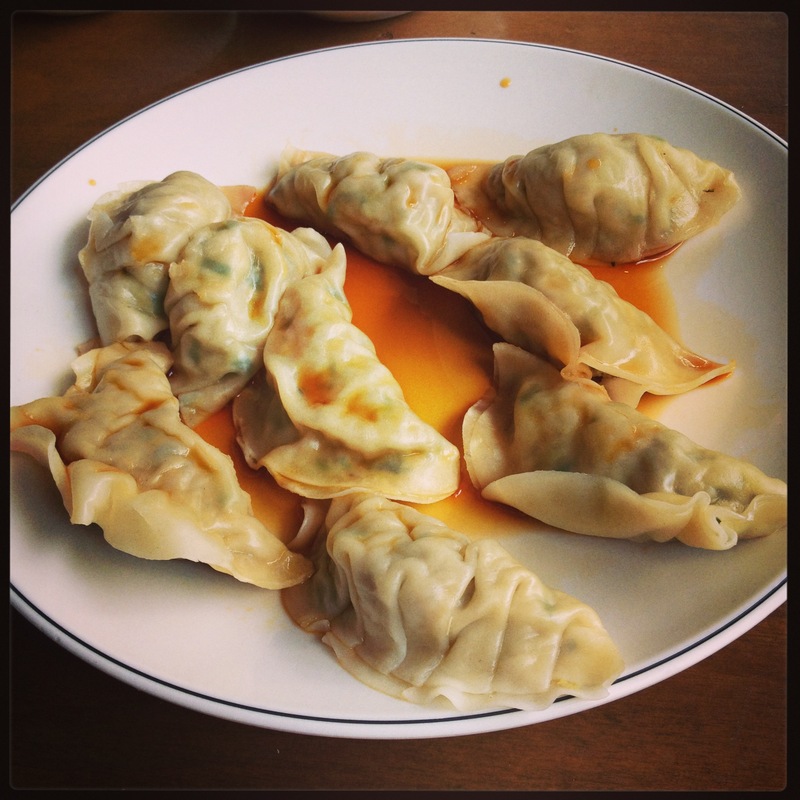 The Dumplings: The Mill serves fried or steamed meat and vegetable and vegetable dumplings. The steamed meat dumplings are stuffed with pork, tofu, glass noodles and scallions and come pre-doused with sauce. The dumplings were meaty and tasty, but I found there was a slight bitter aftertaste which I think was contributed by the sauce rather than the dumpling filling. The Dipping Sauce: The dumplings come bathed in a sauce that seemed to be comprised of soy, rice vinegar and red chili paste. I couldn’t quite discern where the bitterness was coming from, but it was there in the sauce. The Location: The Mill in on Broadway between 113th and 114th street across the street from Columbia University. 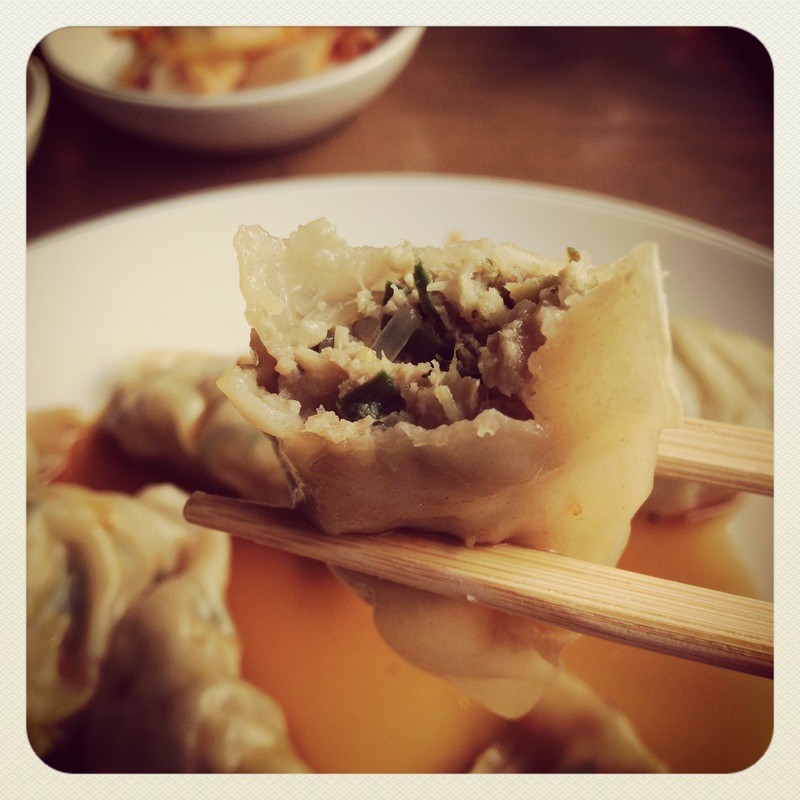 This entry was posted in Mandoo, New York City, Vegetarian. Bookmark the permalink. wat, The Mill is now a Korean restaurant? I do remember it had a few K-items bak in the early 90s. What’s the story!